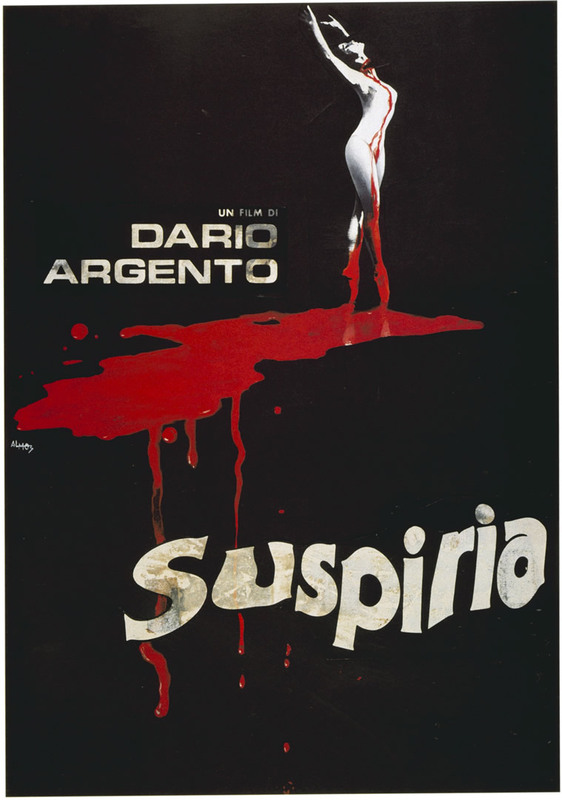 Suspiria is a 1977 Italian horror film directed by Dario Argento, co-written by Argento and Daria Nicolodi, and co-produced by Claudio and Salvatore Argento. The film stars Jessica Harper as an American ballet student who transfers to a prestigious dance academy in Germany but later realizes that the academy is a front for something far more sinister and supernatural amidst a series of murders. The film also features Stefania Casini, Flavio Bucci, Miguel Bose, Alida Valli, Udo Kier, and Joan Bennett in her final film role. It is the first Dario Argento's horror film to have THX-certified audio and video. The score was composed by progressive rock band Goblin and released in 1977. The film is the first of the trilogy Argento refers to as "The Three Mothers", followed in 1980 by Inferno and in 2007 by The Mother of Tears. 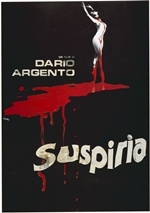 Suspiria has become one of Argento's most successful feature films, receiving critical acclaim for its visual and stylistic flair, use of vibrant colors, and its soundtrack. The Village Voice ranked Suspiria #100 on their list of the 100 greatest films made in the 20th century. Adam Smith of Empire magazine awarded the film a perfect score of five out of five. Empire magazine also ranked Suspiria #312 on their list of the 500 greatest films ever as well as number 45 on their list 'The 100 Best Films of World Cinema'. AllMovie called it "one of the most striking assaults on the senses ever to be committed to celluloid [...] this unrelenting tale of the supernatural was�and likely still is�the closest a filmmaker has come to capturing a nightmare on film." Entertainment Weekly ranked Suspiria #18 on their list of the 25 scariest films ever. A poll of critics of Total Film ranked it #3 on their list of the 50 greatest horror films ever. One of the film's sequences was ranked at #24 on Bravo's The 100 Scariest Movie Moments program. IGN ranked it #20 on their list of the 25 best horror films.